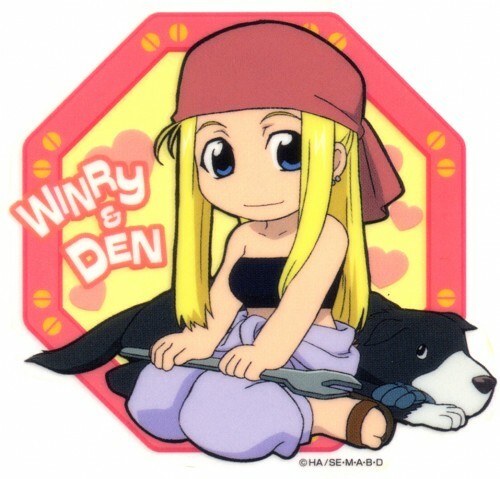 This a sticker of Chibi Winry and her dog Den (Fullmetal Alchemist). 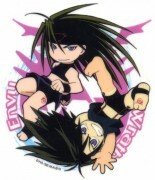 At first I hated Winry; then I tolerated her; now I can honestly say I like her. 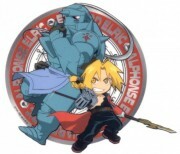 Aw, Den! Thanks for sharing. I really like the colors in this pic. will go aweseme on a pink cap or whit sportcap on a cutie..... !_! Thanks for this cute Winry and Den scan.